The interesting thing that I quickly discovered is that we become experts at reading food labels. You can almost pick the fellow sufferers by the way that they shop. Walk down the aisle, pick up the item, price and brand is irrelevant, turn over to find the list of ingredients, quickly scan, no, something there I can’t have. Replace item on shelf, repeat above steps until you find one you CAN have. 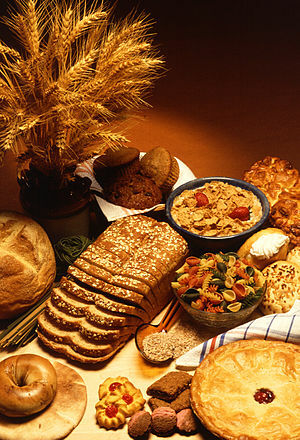 What has really been an eye-opener, is the amount of food items that do contain gluten that you would never suspect. As I was no longer allowed to drink fruit juice ( fructose concentration and sugar content too high), I switched to drinking bottled iced teas. Imagine my surprise when I discovered that 90% have gluten added. Of course the reality is that gluten is used commercially as “filler” or “extender” which just means that it is a cheap way to extend the product and make more money for the manufacturer. So the lesson is READ THE INGREDIENTS LABEL even if you would never consider that this product would ever have gluten naturally-beware the added “extender”. So back to my iced teas. Only one flavour has no gluten-all the others of the same brand do, but at least there is one! Another really scarey problem is with the gluten and lactose “hidden” content in both prescription and over-the-counter medication. 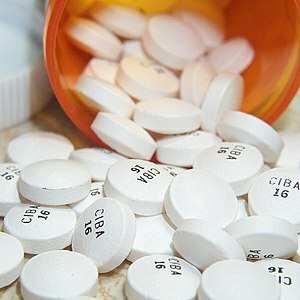 Look at the medication that you are taking or have been prescribed. After a recent bout in hospital a fellow patient had some pain killers prescribed for him. He was also gluten intolerant but never thought to check the ingredients on the medication-he thought the hospital would know. When he had a severe reaction to the painkillers it turned out that the original branded medication, prescribed by his doctor, had no gluten, where the unbranded tablets, which the hospital had substituted, certainly did. Even the hospital was surprised-and we are talking about common painkillers which are available over-the-counter from the chemist. An incident I will always remember, was when my son, who was severely lactose intolerant, was prescribed a children’s sedative, as a small toddler, for his fever and joint pains. One dose of this medicine and he was literally trying to climb the walls in his cot. He was completely hyperactive and delirious with pain from the medication. When I read the VERY small print on the bottle, sure enough it contained lactose.This approved children’s medicine is readily available today, with no warnings on the label. The bigger issue is that lactose is used on nearly all capsules and tablets, to give that nice smooth finish-to make it easier for the tablet to slide down. Some manufacturers use gluten to do the same job. Don’t tick the medication substitute box-yes it may be cheaper, but the chances are 99.9% that it will contain gluten or lactose or both-that is why it is cheaper. Don’t only read the label. Some manufacturers don’t have anything about gluten or lactose on the label but it is usually hidden in small print on the printed sheet inside the box. If there is no information ask-your doctor or your chemist-it is their job to keep you healthy-not make you worse! This is a delightful shop I have just discovered. Full of wonderful things to eat and also a well stocked freezer with frozen pasta, rolled pastry sheets and cases for those of us that like to make our own. They also have a selection of amazing breads, that are baked by hand on the premises and they will give you samples to try before you buy. My personal favourite program to follow is the Gabriel Method. His strong message is: Change begins in the mind-once you have the mind sorted out, everything else will follow naturally. Have a look at his site, even if it is to read his amazing story-it is well worth the read. Jon doesn’t believe in “diets” as this is based on denial and restrictions. His program is more about additions and what you can eat. He is also very strong on mind visualization and this certainly helps to overcome that momentary weakness that we all have from time to time, when faced with our favourite dessert or a bakery shop that looks like heaven! He has a book you can order online, which is worth reading, but there is a complete program if you want to really focus on his methods, and he conducts retreats and 3 day workshops all over Australia. He now lives in Australia and all his methods are based completely on what he did to transform himself. Although he doesn’t market his program as gluten free-that is in essence what it is, as he worked out from his own problems what was making him unwell and overweight. You can give them this book and when they understand that you are not just being difficult or a little bit does matter,makes life a whole lot easier. I went through a stage where I really dreaded going to eat at other people’s places as I felt they were looking at me and thinking, she is just being difficult or it’s just a fad. This book explains all this and the website also has a wealth of information from the author, who like me has been on a journey of discovery since being diagnosed as a celiac. There are also a lot of free information articles and audio articles that you can download to add to you knowledge bank. Still to come: Paleo diets, Yoga and pilates and lots of recipes. Posted on September 19, 2013, in Health & diet and tagged Australia, Coeliac disease, Gluten, Gluten sensitivity, Gluten-free diet, Health, Lactose, United States. Bookmark the permalink. 50 Comments. I seldom drop comments, but i did a few searching and wound up here Further down the Gluten Free Path | Gluten Free & Weight Loss. information, but great topic. I must spend a while studying more or understanding more. I do not understand who you are but definitely you’re going to a famous blogger in case you are not already. Thanks for sharing your thoughts about .gov “lofiversion”. I drop a leave a response when I especially enjoy a article on a site or I have something to add to the conversation. It’s triggered by the fire communicated in the article I browsed. 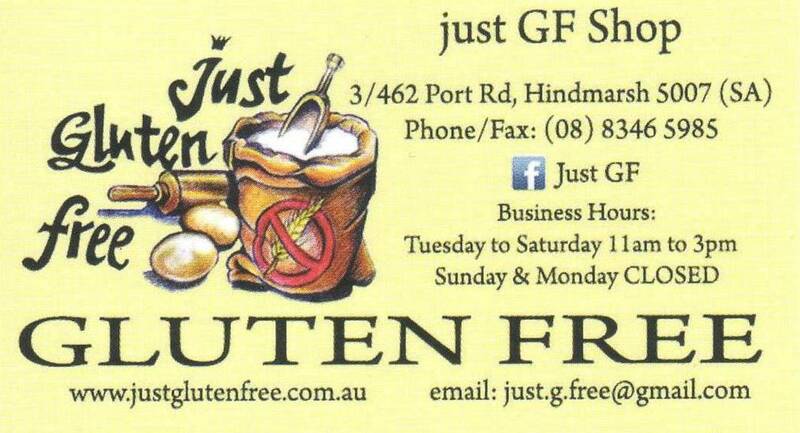 And on this post Further down the Gluten Free Path | Gluten Free & Weight Loss. This is a very well written article. I’ll make sure to bookmark it and return to read more of your useful info. of genuinely get useful facts concerning my study and knowledge. Happy to have a guest blogger! Let me know what you want to write on and we can make it happen. he must be pay a quick visit this websitee and be up to date all the time. Hello! This is kind of off topіc but I need some guidance from an established blog. Ιѕ it tough to ѕet up your own blog? I’m not very techincal but І can figure things οut pretty quick. I’m thinking abhout creating my own but I’m not sure where to begin. Happy to offer suggestions. I use WordPress and I find it very easy to use. Pick one of their templates and just type away. Add some graphics and preview to see if it is all as you want, then Publish. It really is that simple. Sometimes you will have a glitch where what you have put on your page shifts when you actually preview it, but this is only minor and easy to go back and modify if you have to. Good blogging and have fun! Its like you read my thoughts! You seem to understand a lot approximately this, such as you wrote the guide in iit or something. out. I like what I see sso now i аm following you. Lookk forward to findіng outt abbout your wеb page repeatedly. I got thіs web рage from my friend who informed me regarding this web page and at the moment this ime I am viiting this website and гeading very infoгmatiѵе articles orr reviews here. I needed to thank you for this wonderful read!! I absolutely loved every liytle bit of it. will definitely digg it and personallу suggeѕt to my friends. extremely loved the standard informaion a person supply in your visitors? Gluten Free and Christmas time!